Size: 3 Story 28,000 s.f. The medical office building at St. Joseph Hospital designed by Hoch, is adjacent to the existing hospital in the heart of Downtown Fort Wayne. 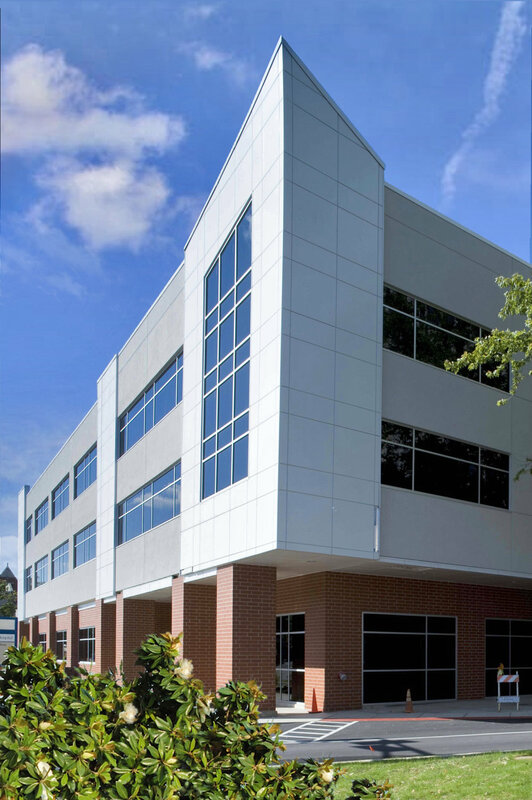 Hoch transformed a connected parking garage by designing a new facade and entry to compliment the new medical office building addition and renovation of existing space. The facility provides expanded space and services for the residency program and serves as the home to Fort Wayne Medical Education. Hoch also designed physician offices, exam rooms, administrative offices, clinical spaces and both a conference and meeting room. Another feature is the Wellness Center located on the first floor which provides cardiopulmonary rehabilitation services on an outpatient basis and also serves as an exercise and wellness center for hospital staff members.